Deedee's Digis: Time to Dive on In! 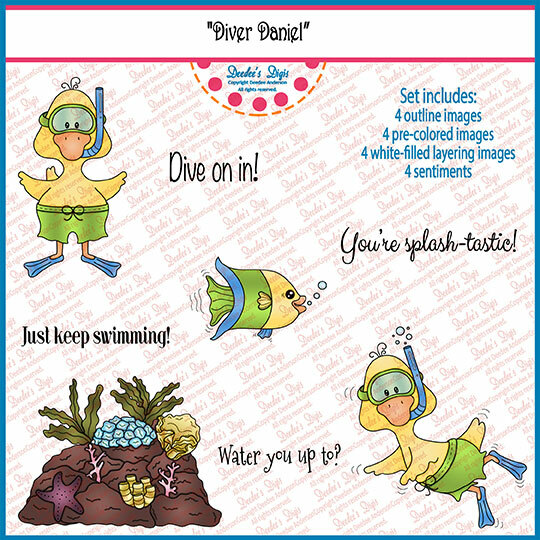 With only 2 weeks left in the Digi of the Month Challenge it is time to get "Diver Daniel" onto a project! Time to jump in the deep in and take the plunge! I love that it looks like he is in an aquarium! And the border is perfect as it looks like water splats to me. Love the colors combo used here and the different types of zig zag papers. Now it's your turn! 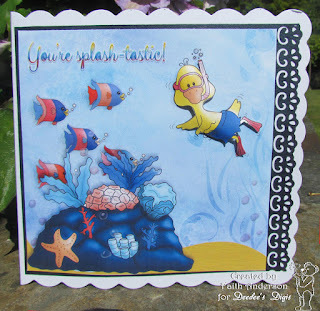 To join this month's challenge, please make any wholesome project using this set, and then link directly to your project using the linking gadget at the bottom of this post by 23:55 (11:55 pm) Pacific Time on Sunday, 28 June 2015. If you are inspired to make more than one project we would love to see them all...no limit on the number of times you can enter! You must make at least one project and link it up in the original post to get next month's featured set emailed to you. 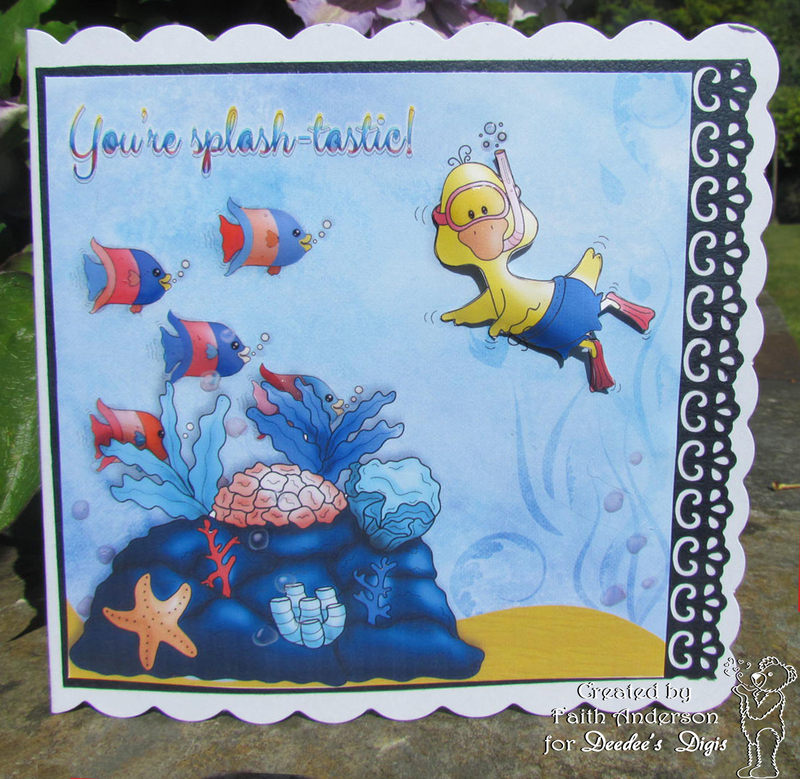 Can't wait to see what splash-tastic project you make with Diver Daniel.